Who's ready for another giveaway? 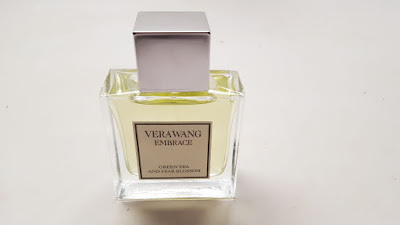 Today i'm reviewing some new fragrances from Vera Wang and giving a lucky reader an opportunity to win a trio of delicious scents. Check it out! I've been really trying to step up my fragrance game, and I've heard great things about Vera Wang especially her Princess fragrance in the past. 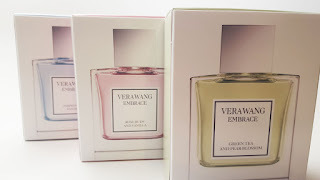 She just came up with a trio of known as Vera Wang Embrace (retail $90). There are three fragrances covering a wide variety of scent notes, inspired by a Romance theme. Each Eau de Toilette spray is 1 oz. The collection is also availabile individually. First off, let's talk about the packaging. I like the elegant glass bottle with linen label. It's simple and chic. 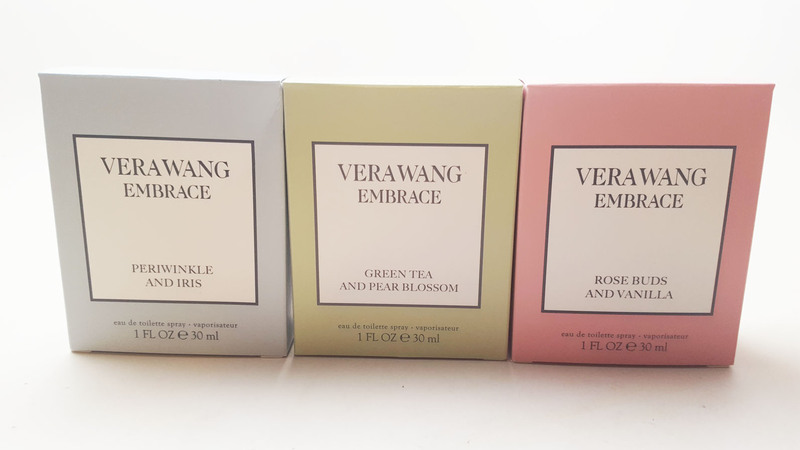 I also like how you can tell what each fragrance is by the container. Embrace Green Tea and Pear Blossom is a modern fresh floral fragrance that opens with crisp earthy notes that bloom into a radiant heart of Peony and Orange Blossom. At the base, fresh comfort is felt as Sandalwood mingles with notes of Skin Musk for a confident finish. 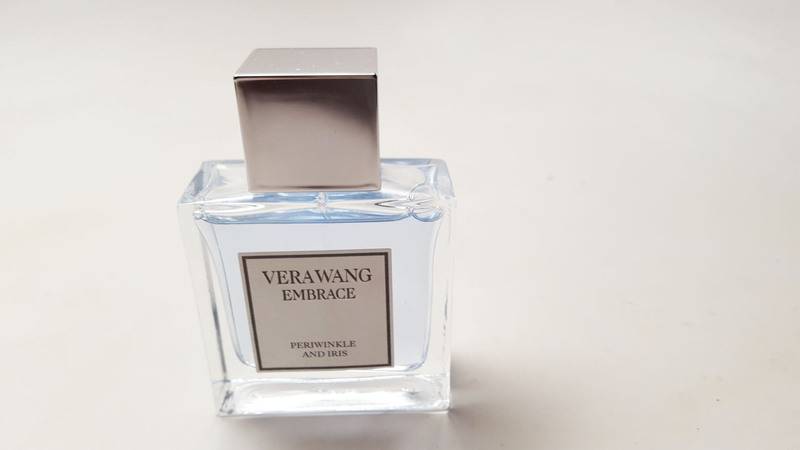 Embrace Periwinkle and Iris’s floral gourmand opens with a radiant entrance as Bergamot and Violet Petals mix with the tender, floral heart of Periwinkle and Iris. Vanilla and Benzoin create a sense of comfort and addiction at the base of the fragrance. 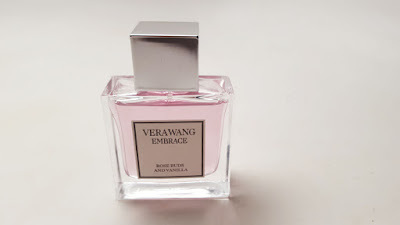 Embrace Rosebuds and Vanilla is a romantic floral oriental fragrance. 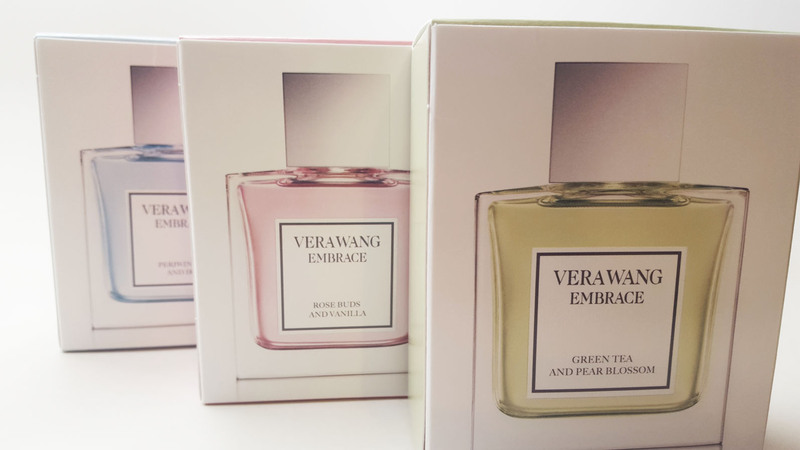 It opens with a rich blend of Damascene Rose and Mandarin Oil which balance out the Sweet Magnolia heart. Vanilla and creamy sandalwood intertwine to create a warm finishing touch on the skin. 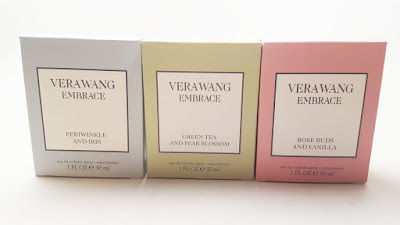 I actually really enjoyed these fragrances. I found that I would rock every single one on various occasions and I'm pretty picky when it comes to scents. Also, after a 6 hour test, I could still smell a trace of the fragrance on my wrists when I sprayed it. Thank you for the giveaway. It's awesome. I love them. GRWM: Fall Night Out Makeup & Outfit!